Should You Buy Adobe Systems Incorporated (ADBE)? Like everyone else, elite investors make mistakes. Some of their top consensus picks, such as Valeant and SunEdison, have not done well during the last 12 months due to various reasons. Nevertheless, the data show elite investors’ consensus picks have done well on average. The top 30 mid-cap stocks (market caps between $1 billion and $10 billion) among hedge funds delivered an average return of 18% during the last four quarters. S&P 500 Index returned only 7.6% during the same period and less than 49% of its constituents managed to beat this return. Because their consensus picks have done well, we pay attention to what elite funds and billionaire investors think before doing extensive research on a stock. 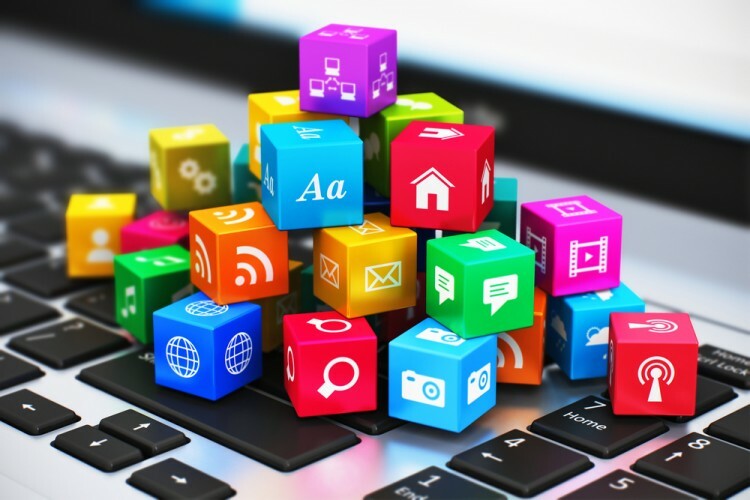 In this article, we take a closer look at Adobe Systems Incorporated (NASDAQ:ADBE) from the perspective of those elite funds. 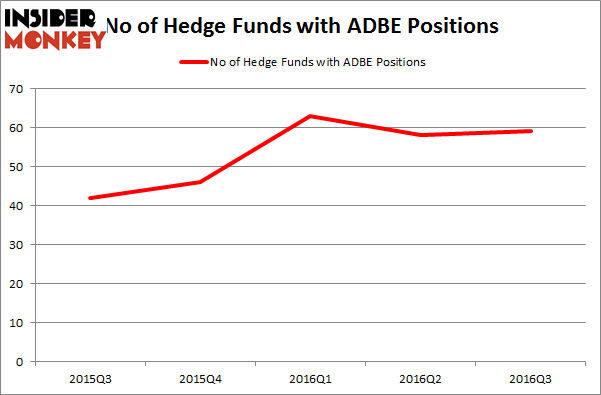 Adobe Systems Incorporated (NASDAQ:ADBE) has seen a slight increase in hedge fund sentiment lately, as the stock was in 59 hedge funds’ portfolios at the end of September, compared to 58 funds a quarter earlier. However, the level and the change in hedge fund popularity aren’t the only variables you need to analyze to decipher hedge funds’ perspectives. A stock may witness a boost in popularity, but it may still be less popular than similarly priced stocks. That’s why at the end of this article we will examine companies such as Telefonica S.A. (ADR) (NYSE:TEF), Petroleo Brasileiro Petrobras SA (ADR) (NYSE:PBR), and Suncor Energy Inc. (USA) (NYSE:SU) to gather more data points. With all of this in mind, we’re going to review the fresh action regarding Adobe Systems Incorporated (NASDAQ:ADBE). As mentioned earlier, at the end of September, 59 of the hedge funds tracked by Insider Monkey were long this stock, up by 2% over the quarter. With hedge funds’ capital changing hands, there exists a select group of key hedge fund managers who were upping their holdings significantly (or already accumulated large positions). According to publicly available hedge fund and institutional investor holdings data compiled by Insider Monkey, Lone Pine Capital, managed by Stephen Mandel, holds the number one position in Adobe Systems Incorporated (NASDAQ:ADBE). Lone Pine Capital has a $501.2 million position in the stock, comprising 2.2% of its 13F portfolio. On Lone Pine Capital’s heels is Aaron Cowen’s Suvretta Capital Management, which holds a $244.1 million position; 7.8% of its 13F portfolio is allocated to the company. Other hedge funds and institutional investors with similar optimism encompass Eric Mindich’s Eton Park Capital and Peter Rathjens, Bruce Clarke and John Campbell’s Arrowstreet Capital.